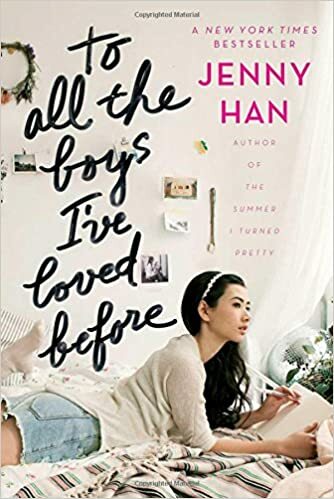 Jenny Han first introduced us to the quirky but adorable Lara Jean in To All the Boys I've Loved Before and P.S. I Still Love You. Lara Jean has survived the embarrassing reveal of her love letters, the awkward private romantic video that went viral, the jealousy and sabotage of ex-best friend Genevieve, and the transition from Peter as fake-boyfriend to Peter as real-boyfriend. Now in her senior year of high school, Lara is comfortable in her relationship with Peter and looking forward to attending the same college. Her widowed father has unexpectedly found happiness in a new relationship, her older sister Margot has a new boyfriend, and her younger sister Kitty is thrilled with their father's romance. Everything is going exactly as planned for Lara Jean, until it does not. When Lara Jean's plan is disrupted, she is torn between her heart and her head. 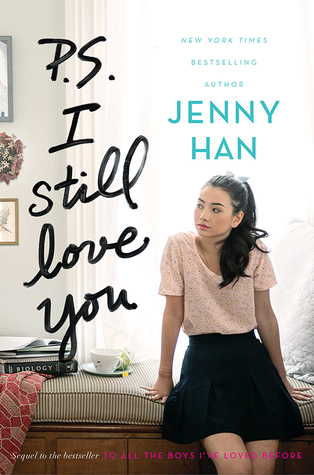 Although the time period is very clear and there are frequent mentions to today's technology, Jenny Han's story is really timeless. First love, finding one's identity in school and at home, navigating the delicate transition from kid to adult, are all universal themes in teen literature and Han has done a good job of exploring them. She has written a sweet coming of age love story and fans of the first two books will be clamoring for this conclusion. 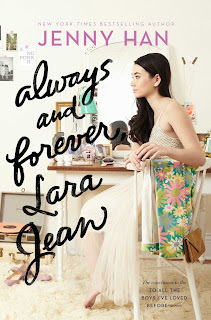 We were introduced to Lara Jean in To All the Boys I’ve Loved Before and her story continues in this sequel. The last thing Lara expected when she and Peter pretended to be dating was that she and Peter would actually wind up liking each other. But that’s exactly what happened. Everything’s going great until people from both of their pasts start to intervene. Is it possible for Lara to go from having no real boyfriends to being in love with TWO boys at once? I enjoyed this one just as much as the first book. This was definitely more focused on Lara’s love life than her family life, but her family still played a large role in the story. I was SUPER glad I had the ARC of the third book in the series so I didn’t have to wait for it. Definite read for fans of the first book! VOYA has the tendency to send me the third book in a trilogy to review. I don’t know how other reviewers handle it, but I don’t feel right reviewing a conclusion when I haven’t read the first two books! So, when I was sent Always & Forever, Lara Jean last spring, I had some catching up to do. To All the Boys I’ve Loved Before is a funny quick read about a 16 year old girl. Lara has written each of the boys she has “loved” a letter and kept it safely hidden for years. Until the day they get mailed to their recipients and much embarrassment and hilarity ensues. This is not a romance novel, even if it is about all the boys Lara has crushed on. It’s more about a girl finding her place in her family and finding herself. I loved Lara’s relationship with her older sister. I finished the book in one day and that is a rare feat for me in my old age. They’re making a movie of it which is sure to attract even more readers. I was so impressed with the first book in the Never Dawn series (given to me by the author) that I purchased the second one on my own. The first one had ended with such a strong shocking discovery that I wanted to continue the overall story. 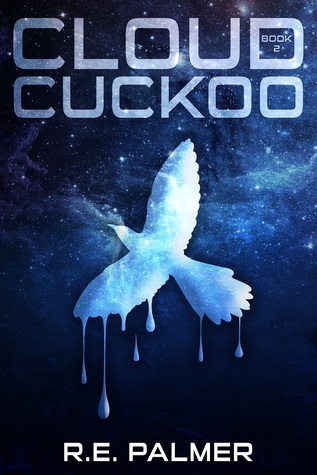 Unfortunately, Cloud Cuckoo didn’t measure up. The majority of the book Noah couldn’t remember what he had discovered, he and Rebecca were separated, and he was isolated during a “re-education” time in which they tried to brainwash him into compliance. There were some more secrets revealed, but this second book very much felt like it was a second book—just a bridge to get from the first to the third. This is my problem with most planned trilogies. There wasn’t anything spectacular about this one, although it does end on a pretty big cliffhanger. The third one is out now and I’m sure I will read it because I like to see how things end.